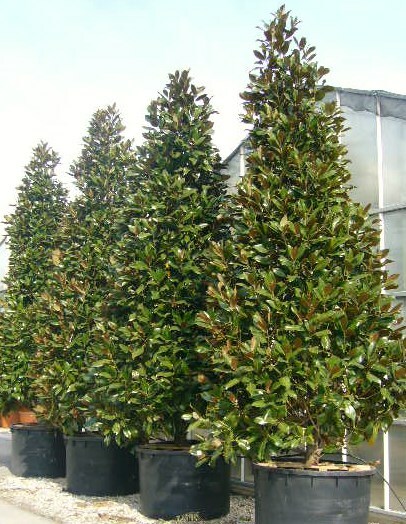 Magnolia grandiflora is a classic ornamental evergreen with large glossy green leaves with a coppery, almost-furry underside; beautiful, large, white flowers appear in late summer. 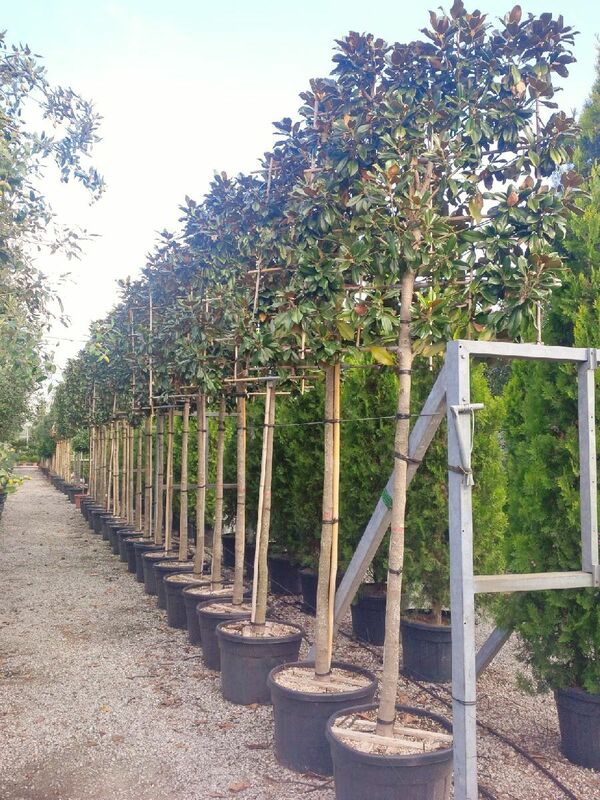 Magnolia grandiflora is fairly slow growing and makes a stunning specimen when allowed to develop as a free standing tree, especially given full sun and a sheltered position. It does lends itself to vigorous pruning and training in spring, which does not affect production of their enormous, beautifully aromatic flowers all through the summer into autumn. 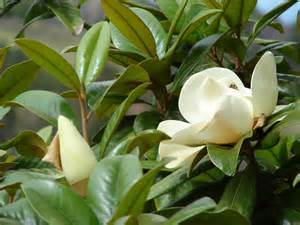 It prefers a rich, fertile soil and must be in a sheltered, not north-facing position. 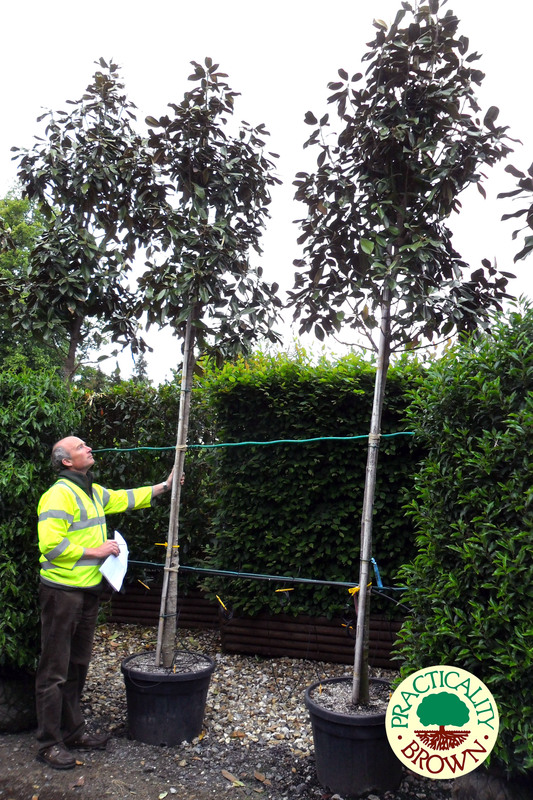 This is a great choice for screening above a fence line and makes a superb feature specimen. 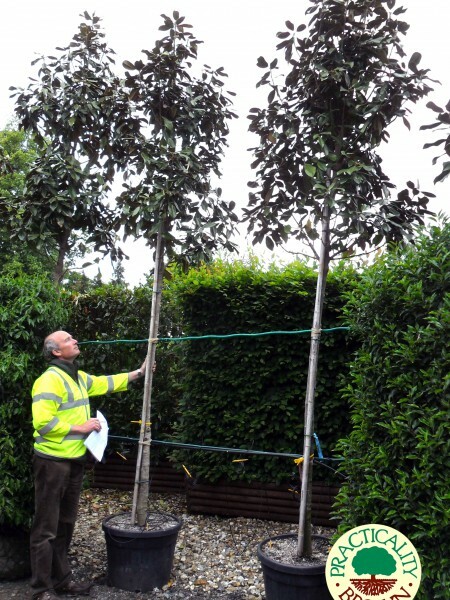 We have this plant in feathered (ie branches and leaves from low on the stem upwards) standard and pleached (ie trained on a frame) forms.